Steroid testing is performed by taking a urine specimen and sending it off to a laboratory for confirmation. 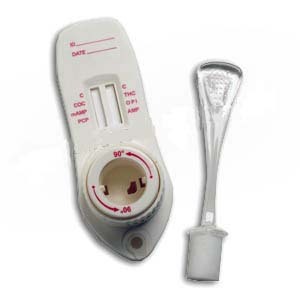 The test will detect the presence of steroids in the urine sample. Anabolic steroids are an important class of abused drugs that have lately been spotlighted in the media. In order to maintain fair play in sporting events, they are banned by many sporting federations. Yet, the use and abuse of anabolic steroids continues today in the United States. Steroid use is not only damaging to the integrity of sports; it also poses many potential health risks. The population of people using anabolic steroids is no longer limited to professional athletes looking to gain an edge. Studies show that children may use steroids as early as the 8th grade. Many schools and sporting agencies find that testing for steroid abuse is not only advisable, but necessary. For more information on steroids, see What Is A Steroid? Our Laboratory now offers laboratory testing of steroids with cutting edge technology. Choosing our Laboratory as a steroid testing partner will assure compliance and accurate results. Each test is analyzed with proven method; no screens! For more information on the different types of drug tests, click on one of the links to the left.